A GPS monitoring system is no longer only used by large companies and long-haul carriers. GoFleet offers a wide variety of low-cost fleet management options for all fleet sizes, large or small. Being able to see your fleet’s location is only the start of what a GPS monitoring system can do for your company. Small businesses usually need a GPS monitoring system to gain more transparency in their operations. 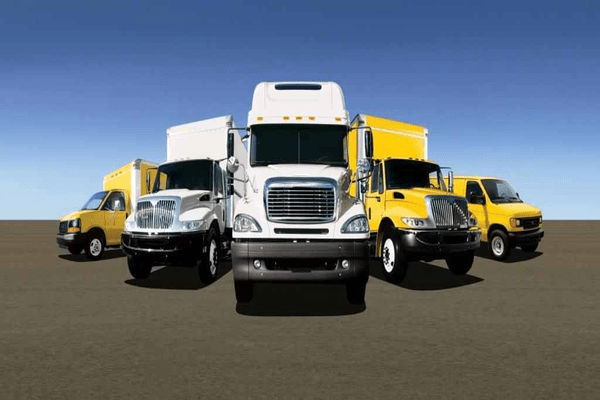 The biggest benefit of implementing a fleet management system in small business is a reduction in overhead, fuel costs, maintenance costs and lower insurance premiums. These savings can add up to hundreds of thousands of dollars while a small business is growing. Managers can view all fleet data using an easy-to-use online dashboard with charts, reports and graphs. In addition, exception reporting can be used to send alerts to your cell phone or email, even when you are offline. For example, if your driver goes out of the authorized area, idles excessively, speeds or drives aggressively, you can be notified immediately. GoFleet’s GPS monitoring system lets you know where your vehicles are at all times. If a customer calls asking about their delivery, you can tell them exactly where it is located and when it will arrive. Being able to provide your customers with an accurate estimated time of arrival, improves customer satisfaction. You will now be able to better compete with the large companies that have been using this technology for many years. You will also save on overhead because you will have an accurate automatic driver time sheet. You will not have to pay for overtime because your driver says he got delayed in traffic when, in fact, he did not. Many small businesses see an immediate reduction in labor costs with accurate labor hours. GoFleet’s GPS monitoring system can be exactly what your small business needs to ensure long-term success. You will be able to provide better customer service, reduce costs and reduce labor when you implement a GPS fleet management solution.